Today is Swap Ideas Day, which as a scientist, is really like every day because that’s kind of how science works. But, today is a Saturday, so I really didn’t have to be all sciency today. Instead, I decided to be domesticated and do some crocheting. I recently learned how to crochet specifically so I could crochet this hat which I discovered on the ultimate swap ideas website. The site is called Ravelry.com, and my friend who is an avid knitter introduced me to it when I was in Alaska. Slate.com called Ravelry.com “the best social network you’ve (probably) never heard of” though it’s probably one-five-hundredth the size of facebook. It’s a social networking site for knitters and crocheters to go online and share their patterns and ideas. I’ve known how to knit for quite some time (I learned as a procrastination tool during my senior year of college), but I’ve always had trouble keeping my interest on one project. Discovering Ravelry reinvigorated my interest in knitting as well as, obviously, inspiring me to learn how to crochet. The site is extremely well organized. It lets you inventory your hooks, needles, and yarn as well as bookmarking your favorite patterns. You can add friends and send messages with questions about particular patterns. You can even add projects your working on with progress updates and photos. Pretty much, for knitting and crocheting enthusiasts, it’s the most awesome site around, and it’s perfect for celebrating Swap Ideas Day. And since we’re swapping ideas today, what websites do you think are great for swapping ideas? 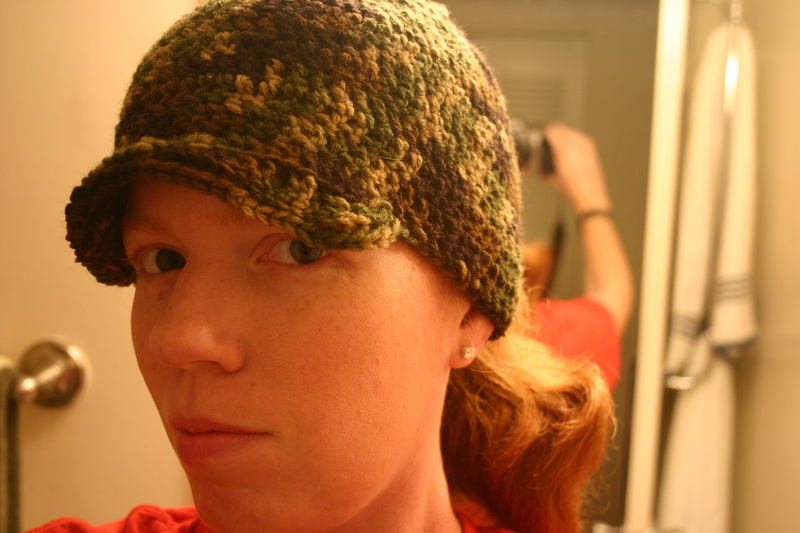 *By the way, the pattern I used for the hat is a modified version of the Megan Wants You…! hat at Valliekids‘ blog.